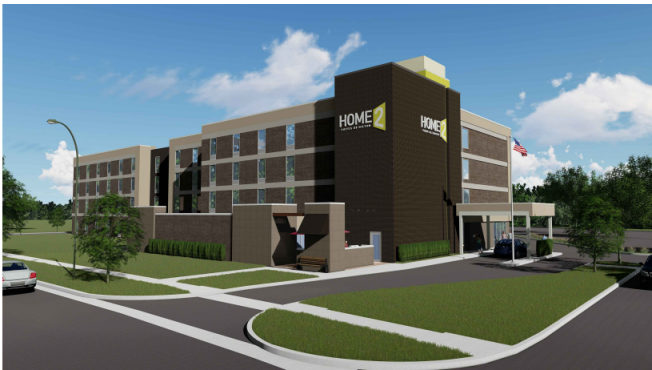 NORMAL – The Normal Town Council unanimously approved plans Monday night for an extended stay hotel in north Normal, although Mayor Chris Koos said the town is not offering tax breaks for the developer to build Home 2 Suites by Hilton at Constitution Trail Center. “At no time during the process has staff or this council had any interest in providing incentive for the property,” said Koos. “This is a purely clean, private development, and there’s no town involvement,” the mayor said. According to Koos, the lack of government aid is based on the notion that the town has an abundant supply of hotel rooms. 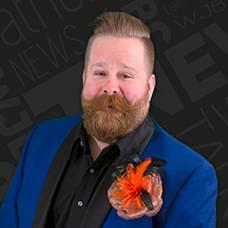 However, hotel builder Jacob Horve of Forsyth-based Horve Hospitality Management said extended stay suites don’t compete with other hotels because they’re designed for people who stay for months, or even years. Home 2 Suites would have 104 rooms, all with a full kitchen at Main Street and Raab Road, adjacent to Bradford Lane. In other business, the town council voted five-to-two in favor of changing a decade old annexation agreement for the Blackstone Trails subdivision, including rezoning almost two acres for a northeast side fire station. Neighbors are worried about noise from middle-of-the-night fire and rescue runs, and diminishing property values from construction of smaller, higher-density homes. Council member Scott Preston removed the proposal from the “omnibus” agenda meant for routine matters. Preston and council member Kathleen Lorenz voted against the plan believing the town should consider buying other property at Hershey and Shepard Roads that would not be so close to people’s homes. “I’m asking for you to vote to table this decision until more information is gathered and thoroughly evaluated,” said Blackstone Trails resident Laurie Wiechert. “I’m confident the great majority of neighbors remain opposed,” Wiechert told the council. City Manager Pam Reece the town and current landowners have yet to set a closing date on selling nearly two acres of Blackstone Trails for the government to build the fire station. The town council approved the sale last November at a cost not to exceed $450,000.